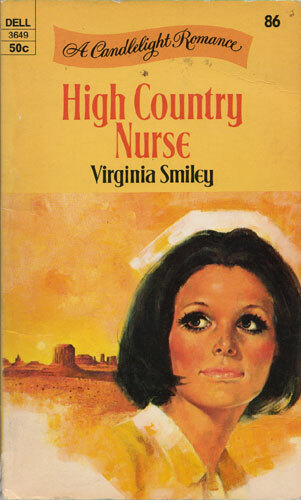 Lovely young Cass Fleming wanted nothing more than to be a good nurse. But suddenly her work at City Hospital, the suffering of small helpless children and kind elderly people, seemed too much for her. To make matters worse, her fiance, Dr. Dan Driscoll, could not understand her feelings. Could she marry a man who was that cold-hearted? Cass decided she needed to get away from it all — to sort out her bruised and mixed-up emotions. The remote Navajo Reservation, where her Aunt Norma taught school, seemed the perfect refuge. But “getting away” wasn’t quite that easy. There were the Navajo people whom she quickly learned to love, and who needed her help. And there was the tall, self-assured young flyer, Sandy Russell, whose playful mockery suddenly turned into something much more serious. Cass realized there was no escape from life and its decisions…and the most important decision of all still lay in wait for her.